Stripped Down Project Management was inspired from my experience as a project management coach. I quickly discovered that most training courses only cover the theory of project management process. The practical steps required to deliver a project successfully were not dealt with. I saw, on a day-to-day basis, that there is a need to bridge this gap. 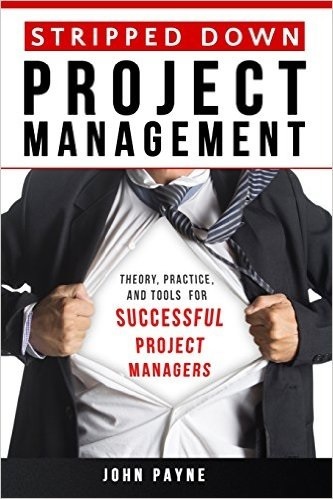 This book is different in that it explains the theory and tools that a project manager needs to know. It then goes further and takes you step-by-step through the best practice of delivering a project on time, within the given budget, and to the expected level of quality. Stripped Down Project Management is in five parts. Part 1 provides a short overview of project management. This is done to make sure that the reader has an overview of the whole project management process before diving into more detail on project management. Part 2 discusses the project management organization. A project does not exist in isolation from the rest of the organization. So, it is important to understand how a project fits in with the operational work which the organization is also doing. This section also discusses the different roles that are relevant for project managers. This includes the project team, the project management office, the project manager and the project sponsor. Part 3 is an independent section on project management theory. It is useful to know the theory as this provides a framework for the real life steps of managing a project. Part 4 is a longer independent section on the practice of managing a project. This section provides a best practice approach, described step-by-step. This section is the real core of the book. The intention is to guide project managers through their first projects successfully. Part 5 is a reference section which describes the tools which a project manager is likely to need or understand on a day-to-day basis. I hope you enjoy my book and find it useful. If you can think of ways in which it can be improved, please contact me. Thanks.